If you’ve only used these services (and not provided them), then there’s no need to worry about the tax implications but if you’ve rented out a spare room in your house through a company like Uber or Airbnb then you’re probably collecting a fee–a portion of which goes to the provider (in this example, Airbnb) and a portion that you keep for providing the service. But whether it’s your full-time gig or a part-time job to make some extra cash, you need to be aware of the tax consequences. Millennials are the number one users of the sharing economy but Gen X and Boomers use it too; and a recent PWC study found that 24 percent of boomers, age 55 and older, are also providers. While many people are looking to earn a bit of extra income, some dive into it full-time hoping they can make a living, and still, others simply enjoy meeting new people or providing a service that helps people. What most people don’t realize is that this extra cash could impact their taxable income–especially if they have a full-time job with an employer. In other words, that extra income might turn into a tax liability once you figure out your tax bill. To avoid surprises at tax time, it’s more important than ever to be proactive in understanding the tax implications of your new sharing economy gig and seek the advice of a competent tax professional. Tip: If you have a job with an employer make sure your withholding reflects any extra income derived from your side gig (e.g. boarding pets at your home through Rover or driving for a ride-share company like Uber on weekends). Use Form W-4, Employee’s Withholding Allowance Certificate, to make any adjustments and submit it to your employer who will use it to figure the amount of federal income tax to be withheld from pay. While you may not necessarily think of yourself as a newly self-employed business owner, the IRS does. So, even though you work through a company like Airbnb or Rover, you are considered a business owner and are responsible for your own taxes (including paying estimated taxes if you need to). It’s up to you to keep track of income and expenses–and of course, to keep good records that substantiate your income and expenses (more on this below). Note:If you receive income from a sharing economy activity, it’s generally taxable even if you don’t receive a Form 1099-MISC, Miscellaneous Income, Form 1099-K, Payment Card and Third Party Network Transactions, Form W-2, Wage and Tax Statement, or some other income statement. And now, for the good news. As a business owner, you are entitled to certain deductions (subject to special rules and limits) that you cannot take as an employee. Deductions reduce the amount of rental income that is subject to tax. You might also be able to deduct expenses directly related to enhancements made exclusively for the comfort of your guests. For instance, if you rent out a room in your apartment through Airbnb, amounts you spend on window treatments, linens, or even a bed, could be deductible. Many municipalities charge room, occupancy, or tourist taxes on the amount of rental paid for short term stays (less than 30 days). Noncompliance may result in penalties, fees, and payment of back taxes owed. Estimated tax payments apply toward both income tax and self-employment tax (Social Security and Medicare). If you don’t pay enough tax, through either withholding or estimated tax (or a combination of both) you may have to pay a penalty. Estimated tax payments are due quarterly. The payment of estimated tax for the income for the first quarter of the calendar year (that is, January through March) is due on April 15. Payments for subsequent quarters are due on June 15, September 15 and January 15. If you don’t pay enough by these dates you may be charged a penalty even if you’re due a refund when you file your tax return. Tip: If you also work as an employee, you can often avoid needing to make estimated tax payments by having more tax withheld from your paycheck. As a sole proprietor, you may receive a Form 1099-MISC (employees receive a Form W-2) or a 1099-K. Form 1099-K, Payment Card and Third Party Network Transactions, is an information return that reports the gross amount of reportable payment card and third party network transactions for the calendar year to you and the IRS. If you receive a Form 1099-K, you should retain it and use the information reported on the Form 1099-K in conjunction with your other tax records to determine your correct tax. If you rent your home out for 15 days or more during a calendar year and you receive rental income for the use of a house or an apartment, including a vacation home, that rental income must be reported on your return in most cases. You may deduct certain expenses such as mortgage interest, real estate taxes, maintenance, utilities, and insurance and depreciation, that reduce the amount of rental income that is subject to tax. If you use the dwelling unit for both rental and personal purposes, you generally must divide your total expenses between the rental use and the personal use based on the number of days used for each purpose. You won’t be able to deduct your rental expense in excess of the gross rental income limitation. Tip: Generally, if you rent out your home for less than 15 days, then you do not need to report any of the rental income and you don’t deduct any expenses as rental expenses. It’s important to keep good records and to choose a recordkeeping system suited to your business that clearly shows your income and expenses. The type of records you need to keep for federal tax purposes depends on what kind of business you operate; however, at a minimum, your recordkeeping system should include a summary of your business transactions (i.e. income and expenses) using a cash basis of accounting. Your records must also show your gross income, as well as your deductions and credits. If you have any questions or would like more information about the sharing economy and your taxes, please contact the office. While The IRS, state tax agencies and numerous people in the tax and accounting industry are working together to warn tax professionals and their clients about phishing scams, they are still all too common. Here’s what you need to know about the two most recent scams: fake charities that take advantage of people’s generosity during times of natural disasters and IRS/FBI-themed ransomware. With Houston still reeling from the devastating effects of Hurricane Harvey, many people are wondering how they can help. One of the best ways to do this is by donating to a charity that helps victims affected by natural disasters. Unfortunately, however, due to the prevalence of tax scams, taxpayers need to make sure the organization they donate to is not a fake charity set up by unscrupulous criminals looking to make a fast buck or get people’s personal information. These types of fraudulent schemes usually involve contact by telephone, social media, email or in-person solicitations. Criminals typically send emails that steer recipients to bogus websites that appear to be affiliated with legitimate charitable causes. These sites frequently mimic the sites of, or use names similar to, legitimate charities, or claim to be affiliated with legitimate charities in order to persuade people to send money or provide personal financial information that can be used to steal identities or financial resources. Donate to recognized charities. IRS.gov has the tools people need to quickly and easily check the status of charitable organizations. Be wary of charities with names that are similar to familiar or nationally known organizations. Some phony charities use names or websites that sound or look like those of respected, legitimate organizations. The IRS website at IRS.gov has a search feature, “Exempt Organizations Select Check” which people can use to find qualified charities; donations to these charities may be tax-deductible. Don’t give out personal financial information–such as Social Security numbers or credit card and bank account numbers and passwords–to anyone who solicits a contribution. Scam artists may use this information to steal a donor’s identity and money. Taxpayers suspecting fraud by email should visit IRS.gov and search for the keywords “Report Phishing.” More information about tax scams and schemes may be found at IRS.gov using the keywords “scams and schemes.” Details on available relief can be found on the disaster relief page on IRS.gov as well. Don’t hesitate to call the office if you have any questions or concerns or believe you have been a victim of a fake charity scam. There’s also a new phishing scheme that impersonates the IRS and the FBI as part of a ransomware scam to take computer data hostage. The scam email uses the emblems of both the IRS and the Federal Bureau of Investigation. It tries to entice users to select a “here” link to download a fake FBI questionnaire. Instead, the link downloads a certain type of malware called ransomware that prevents users from accessing data stored on their device unless they pay money to the scammers. People should stay vigilant against email scams that try to impersonate the IRS and other agencies that try to lure you into clicking a link or opening an attachment. As a reminder, the IRS does not use email, text messages or social media to discuss personal tax issues, such as those involving bills or refunds. If you believe you’ve been a victim of a ransomware scam or any other IRS-related scam, please call the office for assistance. Distributions for qualified higher education expenses. Distributions for qualified higher education expenses are also exempt, provided they are not paid through tax-free distributions from a Coverdell education savings account, scholarships and fellowships, Pell grants, employer-provided educational assistance, and Veterans’ educational assistance. Qualified higher education expenses include tuition, fees, books, supplies, and equipment required for the enrollment or attendance of a student at an eligible educational institution, as well as expenses incurred by special needs students in connection with their enrollment or attendance. If the individual is at least a half-time student, room and board are qualified higher education expenses. This exception applies to expenses incurred by you, your spouse, children and grandchildren. According to the National Conference of State Legislatures, state revenues declined by $17.2 billion due to lost sales taxes in 2016 alone. As such, states, which derive as much as one-third of their revenues from sales and use taxes, are struggling to find ways to harness this lost revenue. At least two states, North Dakota and Colorado, have turned to the US Supreme Court for relief sparking other states to take action and establish legislation governing payment of sales and use tax. Referred to as “remote sales” (e-commerce to most people) retail transactions include catalog and Internet sales where the seller has no “physical presence” in the state where consumers are purchasing the goods. In the early days of Internet sales, several US Supreme Court cases (culminating with Quill v. North Dakota, 1992) ruled that sales tax could not be collected where the seller did not have a physical presence (property or employees, for example). While states do require residents to report sales tax owed on purchases made online or in another state, it is rarely enforced, resulting in lost revenue. More recently, however, a 2015 US Supreme Court opinion by Justice Anthony Kennedy in Direct Marketing Association v. Brohl, while a major victory for online retailers, suggested that it might be time for the Supreme Court to take another look at the physical presence test. A lawsuit by a trade association of retailers, alleging that a Colorado law requiring retailers that do not collect sales or use taxes to notify any Colorado customer of the state’s tax requirement and to report tax-related information to those customers and the Colorado Department of Revenue violates the federal and state constitutions, is not barred by the Tax Injunction Act. Colorado requires internet retailers like Amazon.com to send it reports about their customers in Colorado. Colorado wants to use those reports to force those customers to pay taxes when they buy online. The district court enjoined the statute, thinking it probably is unconstitutional. Without deciding whether the statute is valid, the Court said that the injunction can stand while the parties litigate about the statute itself. At the state level, in the years since the Brohl opinion was issued, states have enacted or are planning to enact various regulations governing payment of sales and use tax. Several are already in place (or will be soon) and a few are proposed and/or facing court challenges. These states include Alabama, Indiana, Louisiana, Maine, Massachusetts, North Dakota, Ohio, Pennsylvania, South Dakota, Tennessee, Vermont, Washington, and Wyoming. A state can join the twenty-four states that have already voluntarily adopted the simplification measures of the Streamlined Sales and Use Tax Agreement (SSUTA). Alternatively, states can meet essentially five simplification mandates listed in the bill. To further complicate matters, as online retail giants such as Amazon expand warehouse and operational facilities to other states, they are faced with state sales tax collection requirements because they now meet the physical test. In the “good old days” anyone could order online and escape paying state sales tax. Those days are almost over, however. For example, starting April 1, 2017, Amazon began collecting sales taxes in Hawaii, Idaho, Maine and New Mexico. While they operate in five additional states, four of them–Delaware, Montana, New Hampshire and Oregon–do not have sales tax and the fifth, Alaska, has municipal sales taxes but not statewide sales tax. Currently, items sold by Amazon.com LLC, or its subsidiaries, and shipped to destinations are subject to tax in 46 states. If you’re an online retailer with questions about sales tax or are simply wondering whether you should collect sales tax from customers or not–given that legislation could either be rejected by the courts or upheld, don’t hesitate to call the office today and speak to a tax and accounting professional you can trust. 1. If you received a six-month extension of time to file, you do not need to wait until the October 16, 2017, due date to file your return and reconcile your advance payments. You can–and should–file as soon as you have all the necessary documentation. 2. You must file to ensure you can continue having advance credit payments paid on your behalf in future years. If you do not file and reconcile your 2016 advance payments of the premium tax credit by the Marketplace’s fall re-enrollment period–even if you filed for an extension–you may not have your eligibility for advance payments of the PTC in 2018 determined for a period of time after you have filed your tax return with Form 8962. If you have any questions about filing an extended return, don’t hesitate to call. Currently, the following Texas counties are eligible for relief: Aransas, Bee, Brazoria, Calhoun, Chambers, Fort Bend, Galveston, Goliad, Harris, Jackson, Kleberg, Liberty, Matagorda, Nueces, Refugio, San Patricio, Victoria, and Wharton. Taxpayers in localities added later to the disaster area will automatically receive the same filing and payment relief. The tax relief postpones various tax filing and payment deadlines that occurred starting on August 23, 2017. As a result, affected individuals and businesses will have until January 31, 2018, to file returns and pay any taxes that were originally due during this period. This includes the September 15, 2017, and January 16, 2018, deadlines for making quarterly estimated tax payments. For individual tax filers, it also includes 2016 income tax returns that received a tax-filing extension until October 16, 2017. The IRS noted, however, that because tax payments related to these 2016 returns were originally due on April 18, 2017, those payments are not eligible for this relief. A variety of business tax deadlines are also affected including the October 31 deadline for quarterly payroll and excise tax returns. In addition, the IRS is waiving late-deposit penalties for federal payroll and excise tax deposits normally due on or after August 23 and before September 7, if the deposits are made by September 7, 2017. If you believe this applies to your business, please call the office as soon as possible. The IRS automatically provides filing and penalty relief to any taxpayer with an IRS address of record located in a federally declared disaster area. As such, taxpayers do need to contact the IRS to get this relief. Note: If an affected taxpayer receives a late filing or late payment penalty notice from the IRS that has an original or extended filing, payment or deposit due date falling within the postponement period, the taxpayer should call the number on the notice to have the penalty abated. In addition, the IRS will work with any taxpayer who lives outside the disaster area but whose records necessary to meet a deadline occurring during the postponement period are located in the affected area. Taxpayers qualifying for relief who live outside the disaster area should contact the IRS at 866-562-5227. Note: This also includes workers assisting the relief activities who are affiliated with a recognized government or philanthropic organization. Individuals and businesses who suffered uninsured or unreimbursed disaster-related losses can choose to claim them on either the return for the year the loss occurred (in this instance, the 2017 return normally filed next year) or the return for the prior year (2016). If you’ve been affected by a natural disaster and have any questions or need additional information about tax relief, please call. If you or anyone in your family receive advance payments of the premium tax credit, now is a good time to check on whether you need to adjust your premium assistance. Because advance payments are paid directly to your insurance company (thereby lowering out-of-pocket cost for your health insurance premiums), changes to your income or family size may affect your credit. Therefore, you should report changes that have occurred since the time that you signed up for your health insurance plan. Reporting the changes when they happen helps you to avoid getting too much or too little advance payment of the premium tax credit. Getting too much may mean that you owe additional money or receive a smaller refund when you file your taxes. Getting too little could mean missing out on premium assistance that reduces your out-of-pocket monthly premiums. Changes in circumstances also may qualify you for a special enrollment period to change or get insurance through the Marketplace. In most cases, if you qualify for the special enrollment period, you generally have 60 days to enroll following the change in circumstances. Information about special enrollment can be found by visiting HealthCare.gov. You can use the Premium Tax Credit Change Estimator to help you estimate how your premium tax credit will change if your income or family size changes during the year; however, this estimator tool does not report changes in circumstances to your Marketplace. To report changes and to adjust the amount of your advance payments of the premium tax credit you must contact your Health Insurance Marketplace. Please call if you have any questions about the Premium Tax Credit. 2. Make Dependent’s Name Change. Notify the SSA if your dependent had a name change. For example, this could apply if you adopted a child and the child’s last name changed. If you adopted a child who does not have a Social Security number, you may use an Adoption Taxpayer Identification Number on your tax return. An ATIN is a temporary number. You can apply for an ATIN by filing Form W-7A, Application for Taxpayer Identification Number for Pending U.S. Adoptions, with the IRS. Please contact the office if you have any questions related to IRS requirements regarding a name change. 3. Exemptions for dependents. You can usually claim an exemption for each of your dependents. A dependent is either your child or a relative that meets certain tests. You can’t claim your spouse as a dependent. In addition, you must list the Social Security number of each dependent you claim. If you don’t have a social security number, special rules apply. Don’t hesitate to call if this is your situation. 4. Some people don’t qualify. You generally may not claim married persons as dependents if they file a joint return with their spouse. Again, there are some exceptions to this rule, so please call if you have any questions about this. 6. No exemption on dependent’s return. If you can claim a person as a dependent, that person can’t claim a personal exemption on his or her own tax return. This is true even if you don’t actually claim that person as a dependent on your tax return. The rule applies because you have the right to claim that person. Questions about dependents and exemptions? Call the office today. Figure 1: Before you can use sales orders, you’ll need to make sure that QuickBooks is set up for them. 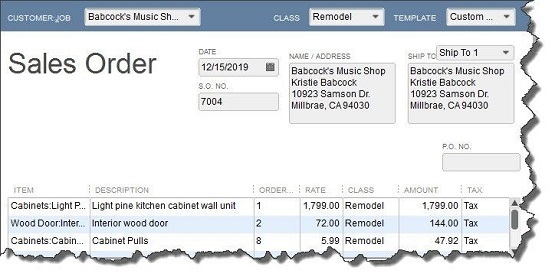 Figure 2: A sales order in QuickBooks looks much like an invoice. Tip: Templates and Classes are totally optional in QuickBooks. Templates provide alternate views of forms containing different fields and perhaps a different layout. Classes are like categories. You create your own that work for your business; they can be very helpful in reports. Please call the office if you need help understanding these concepts. If the shipping address is different from the customer’s main address, click the down arrow in the field next to Ship To, and either select an alternate you’ve created or click Add New. Make sure the Date is correct, and enter a purchase order number (P.O. No.) if appropriate. The rest of the sales order is easy. Click in the fields in the table to make your selections from drop-down lists, and enter data when needed. Pay special attention to the Tax status. If you haven’t set up sales tax and need to, just call. 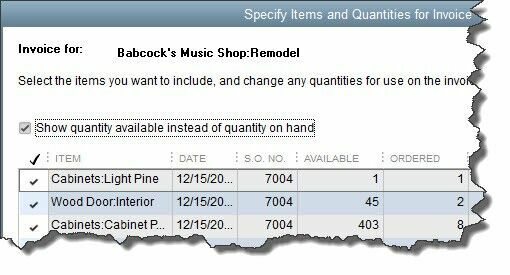 Figure 3: When you create an invoice from a sales order, you can select all the items ordered or a subset. As you can see, sales orders are easy to fill out in QuickBooks but they involve some complex tracking. You may want to call the office to schedule a “how-to” session before you attempt them. As with most things, it’s always better to understand sales orders ahead of time rather than to try to troubleshoot problems later. Partnerships – File a 2016 calendar year income tax return (Form 1065). This due date applies only if you were given an additional 6-month extension. Provide each shareholder with a copy of Schedule K-1 (Form 1065) or a substitute Schedule K-1. S corporations – File a 2016 calendar year income tax return (Form 1120S) and pay any tax due. This due date applies only if you made a timely request for an automatic 6-month extension. Provide each shareholder with a copy of Schedule K-1 (Form 1120S) or a substitute Schedule K-1.